In order to provide the ultimate arcade experience, we bring to you a unique multi-player AR shooting experience. We are all gamers and were inspired to bring back the feels of a classic arcade game. Since we touched on VR before, we decided to add a twist by making this game an Augmented Reality application. Currently AR collaboration has not been widely used in consumer markets for games. 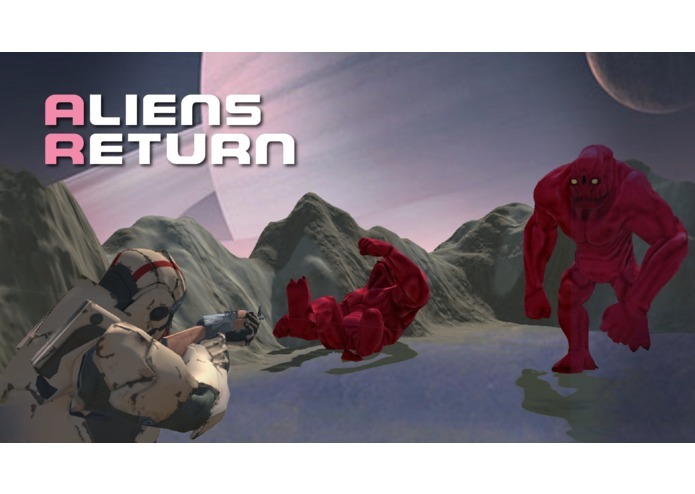 The likes of Pokemon Go helped introduce AR concepts to the masses, but Aliens Return will encourage cross-platform shared AR experience in realtime. We also agreed on having a sci-fi theme and thought that an alien related theme would be best. Our application enables you and another friend to enjoy a co-op experience in AR on any mobile platform of your choice. 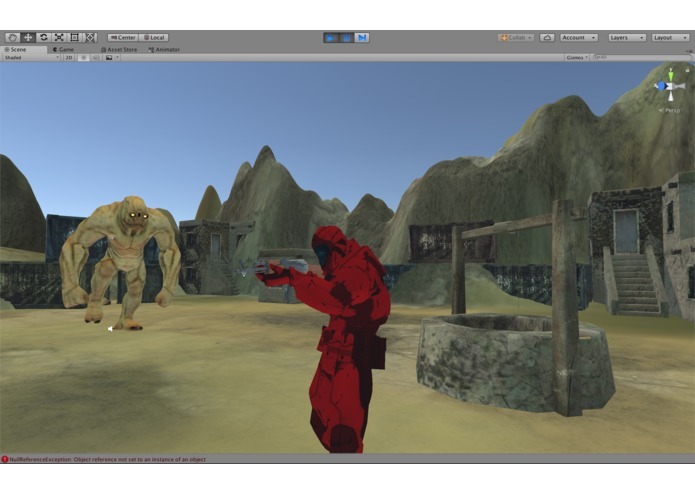 Our application was built using Blender, Unity, Vuforia, and Photon Networking. The biggest challenge we ran into was integrating the co-op/networking experience, as today's AR is focused a lot on solo experience, that there was not a lot of resources or documentation for network and shared AR experiences. Unfortunately, we were unable to fully implement networking in our application. We're proud that we were able to create an AR experience that is playable/compatible on several mobile platforms. We learned how to set up an AR experience using Unity and Vuforia as well as how to set up multiplayer networking through a dedicated server using Photon. A sequel embodying the entire scope of our game's world; all in VR. 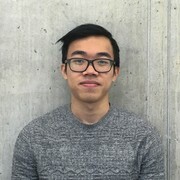 I worked on creating the base game logic, AR integration, and mobile optimization. I worked on getting the unity networking working as well as using photon to implement an external game server. I worked on the designs of the UI, game level, and model optimization.